Every year, roughly 230 home fires begin due to poorly managed Christmas trees. While common sense can go a long way toward preventing these fires, the National Fire Protection Association publishes a yearly list of advice for tree owners. Whether you have a classic Douglas fir or a “wiskpy” white pine, it pays to take a few simple precautions when setting up your tree for the year. In this post, we’d like to talk about five Christmas tree safety tips that will help to keep you, your home and your family safe. Positioning your tree close to fireplaces, candles, space heaters, vents, lights or radiators can be troublesome for a number of reasons. First, they can dry your tree out. Second, if your tree is dry enough, they can potentially ignite it. Just like being placed next to a heat source, forgetting to water your tree regularly can cause it to dry out. A dry tree will often drop dead, brown needles that can create unsafe conditions. While many lights can be used anywhere, some lights are only rated for indoor or outdoor use. Before decorating your tree, make sure that you’re using lights that have been approved for use inside your home. Unattended electrical devices can be problematic. While it may provide a captivating view for passersby, it’s always best to unplug your Christmas tree lights before going to bed. Decorating your Christmas tree may be an almost automatic thing, by now. Unpack the boxes, string the lights, add the garland and then start hanging ornaments. However, it’s easy for lights to become damaged in storage and you should always check them for signs of fraying, splitting or cracking while unpacking them. At Christmas Farms, we want all of our customers to have a festive, safe Christmas season. 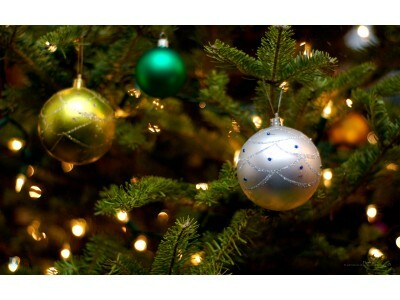 Our wide selection of Christmas trees for sale online are always delivered fresh, healthy and ready to adorn your home. If you have any questions about our products, Christmas tree safety or need advice on how to best decorate your home, contact us today and we’d be happy to help!